Suffering from painful hand or wrist? - Treat with acupuncture treatment by MD specialist doctor with 40 yrs experience without drugs or surgery by at 4.5 Star* rated clinic in Nashik. No side effects. 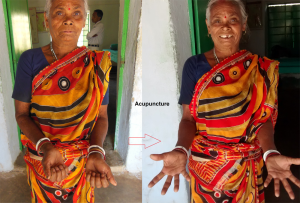 Dr Pardeshi Acupuncture Pain Therapy has been providing hand pain treatment like Carpal tunnel syndrome pain treatment for decades as stated in this review. Pain in hand including wrist pain, can be due to multiple reasons like injury, arthritis, carpal tunnel syndropme, De Quervain’s, ganglion cysts, gout, peripheral neuropathy, Raynaud’s phenomenon and trigger finger. Situations like wrist pain when bending, wrist pain from typing, wrist pain from mouse, wrist pain from lifting, wrist pain when curling, wrist pain tennis, wrist pain guitar, pain low bar squat and wrist pain boxing have common causative factor of repetitive action and injury. Hand joint pain or hand pain may be due to injury tendon disease or rheumatoid arthritis. For example wrist and thumb pain will result into De Quervain's disease. Inflammation due to injury will result into wrist pain and swelling. There are other wrist pains causes need to have precise wrist pain diagnosis. The wrist is made up of several small joints where the bones of the hand and forearm meet. Wrist pain symptoms can develop suddenly due to impact or injury. For example, a wrist sprain or injury can cause pain if a ligament is overstretched. Wrist pain tendonitis symptoms develop due to repetitive tendon injury. Repetitive injuries - Any activity that involves repetitive wrist action can inflame the tissues around joints or cause stress fractures, especially when you perform the movement for hours on end without a break like - from hitting a tennis ball or bowing a cello to driving cross-country. Pain at the base of the thumb - De Quervain's disease is a repetitive stress injury. Sudden injuries - falling forward may be cause of wrist pain. Scaphoid fracture may not be visible in initial stages. Fracture will cause severe pain stiffness, restricted movement, and swelling. Fracture can be simple, complex, comminute or compound. Treatment depends on type of fracture and bone involved. Casts or splints are often used for simple types. Support or plates may be needed to treat more complex fractures. Surgery might also be necessary to fully set the broken bone. Acupuncture is supportive remedy to treat pain before after surgical intervention. It is not a common source of hand pain swelling and stiffness. It occurs with aging or following an injury, such as a fracture or dislocation. Wrist Pain Management: Wrist pain treatment includes wrist pain medicine, wrist pain cream, wrist pain exercises, wrist pain braces or wrist pain yoga. Wrist pain relief is achieved by process of elimination of causative factor. First method of wrist pain fix is giving rest to wrist. If that does not work, wrist pain acupuncture or other doctor can be consulted. Symptoms of carpal tunnel syndrome Carpal tunnel symptoms can cause tingling, numbness, weakness and or pain in fingers or in hand. Pain may sometimes be in arm or elbow. Carpal tunnel syndrome symptoms complaints are more at night. Carpal tunnel pain in palm and some fingers of the hand, wrist and forearm can also be seen. It can make it hard to grip objects. Discomfort occurs when swelling presses against the median nerve. Symptoms are commonly seen in the thumb, index finger, and middle finger. It is one of the most common nerve disorders. What is inside carpal tunnel syndrome? 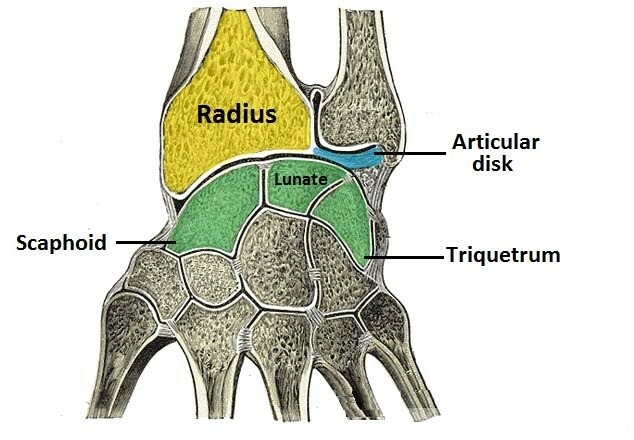 The carpal tunnel is area made up of bones and connective tissues that is located at the base of the hand. 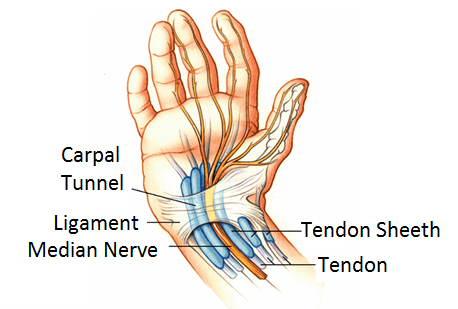 The median nerve passes through this tunnel. 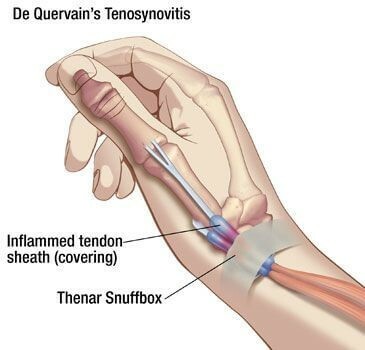 That is in this narrow space and the median nerve can be pinched or irritated by inflamed tendons called tendonitis and other swelling. Carpal tunnel syndrome causes can be same action of wrist again and again like in cases of computer operator. It cause swelling of carpal tunnel and pinch median nerve. Computer operators must use carpal tunnel mouse pad and carpal tunnel keyboard support. Other causes of Carpal tunnel are pregnancy, rheumatoid arthritis, diabetes and hypothyroidism. First line carpal tunnel treatment should be acupuncture as it is simple, safe and without any side effects. Acupuncture carpal tunnel pain relief is very fast and long lasting as compared to any of usual methods of treatments. Carpal tunnel therapy given in early stages gives better carpal tunnel relief and prevents long term damage. Conventional Carpal Tunnel Treatments Your doctor however may advise following carpal tunnel remedies. Wrist splint for carpal tunnel at night to reduce movements to reduce swelling and pain. Carpal tunnel brace may give relief to some extent. Rest to part. Stop activities that cause numbness and pain. Ice your wrist for 10 to 15 minutes 1 or 2 times an hour. Even after using all methods for weeks or months, fails to give relief, surgery to release tension may be considered as last resort. Carpal tunnel surgery recovery time may be few weeks to months. It is to be followed by carpal tunnel stretches. Acupuncture must be tried before using carpal tunnel syndrome surgery. With availability of acupuncture therapy, need of surgery is further minimized. Your doctor however may advise following carpal tunnel remedies. Yoga treatment for Carpal Tunnel Syndrome pain, especially due to inflammation can be effective. Yoga involving pressure on wrist or stretching back of hand can irritate median nerve and exacerbate complaints. Tai Chi treatment for Carpal Tunnel Syndrome pain is effective. Qigong treatment for Carpal Tunnel Syndrome pain needs special training and can be useful tool of management. Respect warning signal of pain from body when doing exercises. Exercises must be slowly progressive. Sudden load on muscles or must be avoided. Patients report having taken Ayurvedic treatment for Carpal Tunnel Syndrome pain and reported some relief also. Similarly, Homeopathic treatment for Carpal Tunnel Syndrome pain has also had some satisfied patients. Acupressure treatment for Carpal Tunnel Syndrome pain has limited scope. Preventing Carpal tunnel syndrome Your doctor however may advise following carpal tunnel remedies. Wrist in a neutral position helps in reliving symptoms. Relax your shoulders when your arms are at your sides. Wrists straight, with your hands a little higher than your wrists, when you type, keep your. 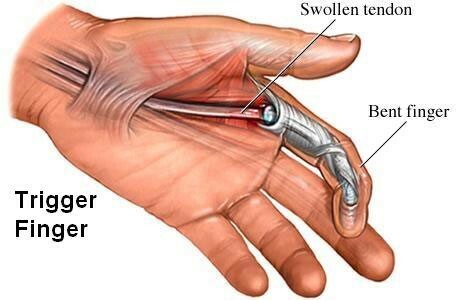 Trigger Finger It is situating where you lock finger or the thumb to lock in a bent position. One may also feel a catching sensation when the finger or thumb locks in place, and then a pop as the tendon is released. It happens because the tendon may become stuck when you try to straighten a bent finger or thumb. When the flexor tendons, which control the movements of the fingers and thumb, gets irritated in rheumatoid arthritis, gout or diabetes; it can be painful, especially when bending or straightening the affected finger or thumb. This can cause them to thicken within the tendon sheath that surrounds the flexor tendons nodules may also form on the affected tendons. And the sheath itself may thicken as well. All of this prevents the smooth movement of the tendons. Trigger finger acupuncture treatment is effective treatment and ei available at Dr Pardeshi Acupuncture, Nashik. Trigger finger surgery or trigger thumb surgery may be needed when all other methods fail to give any relief. It presents as pain on the thumb side of the wrist making grasping or holding objects, making first and turning the wrist, difficult. The pain comes gradually or suddenly. It can radiate to the forearm from the length of the thumb. The pain results from swelling of the wrist tendons causing tendonitis in wrist at the base of the thumb, which is caused by irritation or inflammation. Repetitive activities and overuse are often responsible for the onset of de Quervain’s. Be pain free from painful wrist and hand with acupuncture specialist without drugs from, MD doctor, with 40 years experience at modern 4.5 Star* rated clinic. No drugs and its side effects. 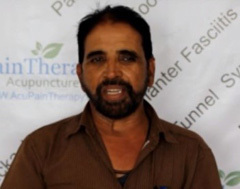 Dr Pardeshi Acupuncture Pain Therapy has been providing hand pain treatment like Carpal tunnel syndrome pain treatment in Nashik for decades as stated in this review.